Although Israel is home to a number of highly-respected dance venues (think Suzanne Dellal), it’s not a country that automatically comes to mind (looking at you Latin America) when you hear the word “dance.” That said, for tourists with a little bit of rhythm (or courage) there are a few communities in Tel Aviv that have some serious hoofing going around and are happy to take in newcomers and visitors. Of course, like everything in this country, dance is done with a distinctive flavor and flare, expressing itself in a way that is somehow unmistakably and endearingly Israeli. Still not convinced? We’ve lined up three of the most diverse dance cultures in Israel to lure you. All have their origins outside the country, yet have been magically infused with our Middle-Eastern essence. 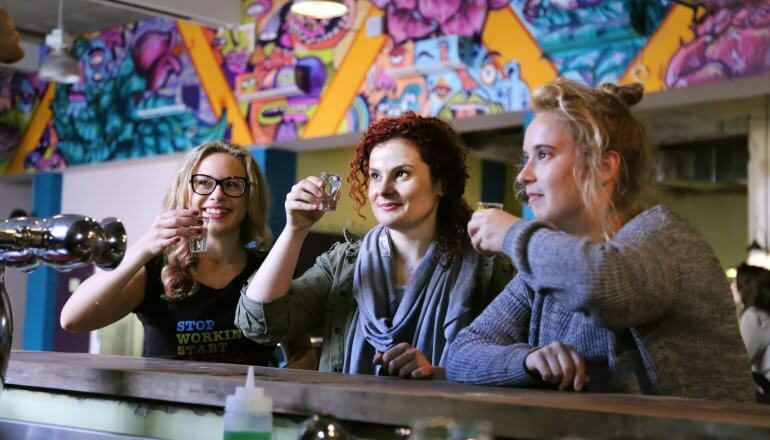 Pick your poison (or sample them all) and let Tel Aviv bring out your inner dancer. To participate in Israeli Folk Dancing is to experience a big piece of Israel’s history and culture. For decades, Rikudai Am dance lessons and sessions have been sponsored for free every Saturday at various locations and times throughout the country. Held year-round – rain or shine (assuming it’s safe) – it is a perfect opportunity to immerse yourself in the spirit of the early settlers, if only for a few hours. Tel Aviv sessions are held at the plaza on the Gordon Beach promenade from 7:00- 11:00 pm, June thru September, and start at 11:00 am the rest of the year. Most on the plaza look like they’ve been dancing for years, and know the steps by heart, but the session leader can usually be found in the center of the dancers, so if you’re a “newbie”, snag a spot near the leader and follow the moves. Even if you are reluctant to participate there plenty to enjoy just sitting on the sidelines and watching the bodies in synchronized motion. If your musical tastes tend toward the tribal, the organic rhythms of Drum Beach might be more your style, and although the percussionists also serve their rhythm synchronistically, they do so in a less-structured spirit than the folk dancers. Every Friday at 3:00 pm and throughout the evening, musicians of all kinds — professional and amateur, male and female, young and old, local and visiting — gather for a magical drum session on a small stretch of beach near Tel Aviv’s Dolphinarium complex. This has been going on for 20-plus years. The session bears an unmistakable, “anything goes” atmosphere fueled by the eclectic personalities in the crowd and the hypnotic rhythms that move people to abandon any reservations and show off their groove and best moves on the dance floor in front of the musicians. The familial bond between the musicians and the audience is obvious, as you’ll hear and see people drumming and dancing together as if they’d been doing it for years, and it’s not unusual for communal refreshments to show up when one of the regulars celebrates a family event. The sessions usually go on in full force until the early evening hours, at which point many of the participants join their other families for Shabbat dinner, but if you have the urge to keep drumming and dancing, a small contingent usually continues well into the night. You may not associate swing dancing with the Middle East, but over the years the Israeli swing community has gradually grown in popularity, in no small part thanks to the team at Holy Lindy Land. Formed by a group of Israeli swing dancing devotees in 2007, Holy Lindy Land is one of the biggest players in the scene, offering courses with experienced, trained dancers and instructors and putting on regular events at clubs and bars throughout the country. 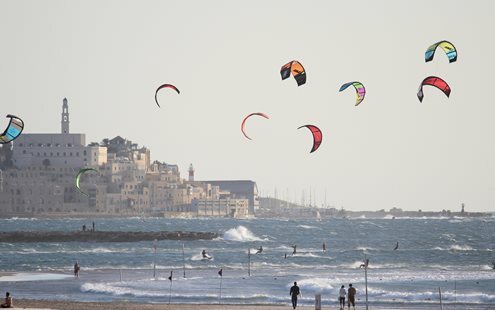 Naturally, the culture-centric Tel Aviv is one of its hubs, and though the Tel Aviv swing community is close-knit, newcomers and visitors are always welcome. You can get to know the locals and cut a rug at Holy Lindy Land’s weekly parties, where it’s not uncommon for world travelers and fellow swing dancers from abroad to drop in on the weekly parties to spice things up. Holy Lindy Land swing parties kick off at 11pm every Thursday night at HLL Headquarters at Bikurai Ha’etim (6 Heftman Street, near the Sarona complex), while the blues dance party is hosted at Dancing Camel Pub (12 Hata’assiya Street), starting at 10:00 pm on Sundays. In addition to their weekly parties, they publish an ongoing schedule of events that includes classes, special events, and street parties. Check out their website or Facebook page for details: www.holylindyland.com.